PODGORICA (Montenegro), March 25 (SeeNews) - Montenegrin company Uniprom is investing about 26 million euro ($29.4 million) in the overhaul of local aluminium smelter KAP, the owner of Uniprom, Veselin Pejovic, has said. Uniprom plans to open in the coming months an 11 million euro unit for production of silumin alloys with a capacity of 30,000 tonnes per year, Pejovic said on Friday, according to a press release of the Montenegrin government. Moreover, the company intends to invest 15 million euro in the construction of a unit for production of aluminium billets with a capacity of 70,000 tonnes per year and to open it by the end of 2019. "The two factories will have a combined output of 100,000 tonnes, which means that in 2020 we should have exports of circa $300 million," Pejovic said. 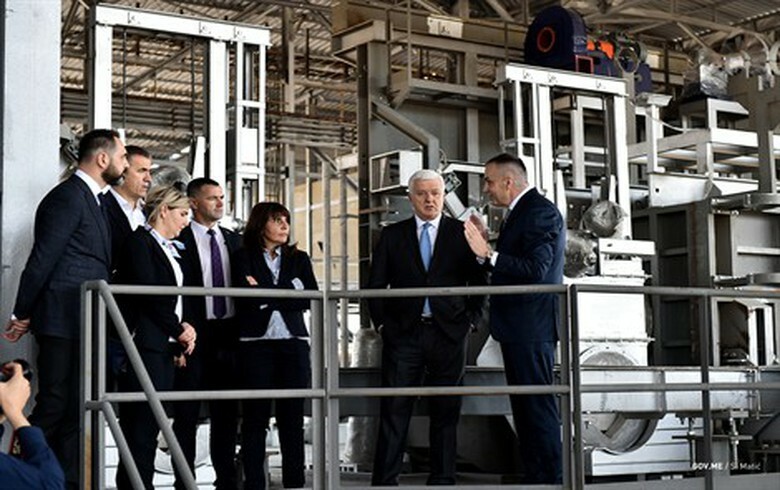 Uniprom has also installed a facility for the usage of liquefied natural gas (LNG) as a raw material, replacing fuel oil and petroleum products, Montenegrin prime minister Dusko Markovic said during a visit to the smelter. KAP entered bankruptcy proceedings in 2013 and was sold by Montenegro's government to Uniprom in 2014.